In an attempt to make the moment even more special, I felt that some quiet music might add to the occasion. Unfortunately modern archaeologists from Egypt, America, Europe, and elsewhere are unable to reliably reconstruct the long-lost melodic funeral dirges that accompanied the rites of the pharaonic dead. This being the case, I chose to foster a somewhat calming and dignified atmosphere and selected to accompany our work three Beethoven sonatas softly broadcast from a portable tape player. The melodies of the Moonlight, Pathetique, and Apposionata sonatas served as a kind of tribute, although clearly European, to a tomb from a mostly extinct culture. That description of the opening of tomb KV60 in King's Valley, near Luxor, Egypt in 1989 is taken from Beneath the Sands of Egypt: Adventures of an Unconventional Archaeologist by Donald Ryan. From the 16th to 11th century BCE tombs were constructed for the Pharaohs and powerful nobles of the New Kingdom in the King's Valley, with the most famous of the tombs being that of Tutankhamun. 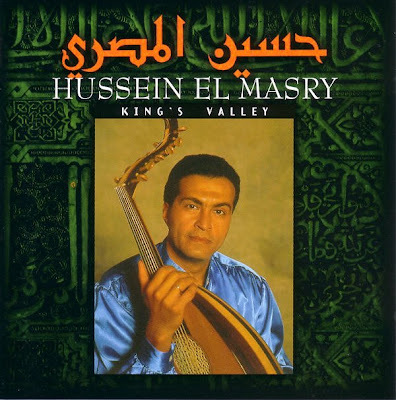 The King's Valley inspired the eponymous suite for small ensemble composed by Egyptian oud master Hussein El Masry (b.1952). Just as the Beethoven-broadcasting Donald Ryan is an unconventional archaeologist, so Hussein El Masry is an unconventional musician. Trained in Arabic classical music, he expresses his credo of "Art does not renovate itself, it's the artist who must renew himself" by experimenting beyond classical boundaries. In King's Valley the traditional oud, darboukas, tablas and quanoun are joined - sparingly - by guitar, violin and keyboards. On Between the Nile and the Ganges he is joined by Nepalese sitar player Narendra Bataju, who was a pupil of Ravi Shakar, and two percussionists in a fifty-four minute dialogue between oud and sitar based on Indian ragas. 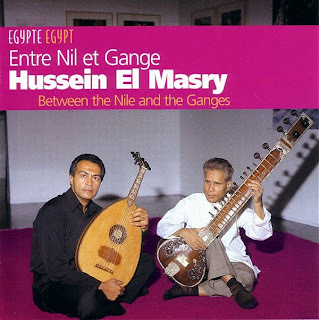 King's Valley on the French Kardum label has limited availability while Between the Nile and the Ganges, which I particularly recommend, is readily available from the admirable Institut du Monde Arabe label - sample it here. Donald Ryan laments the absence of reconstructed pharaonic funeral dirges, however the sacred music of the Copts is thought to date back to the same time - read about it in The primordial sounds of a 5000 year old gospel choir. * On An Overgrown Path is going underground in the King's Valley and elsewhere in Egypt, so will be off-air for a while - see you soon.